In South Carolina, sometime in the early Fall, the humidity and temps drop to overnight lows in the high 50's to low 60's and highs only in the low 80's ... ok, that's cool enough here to feel a bit like Fall! LOL! Can't wait! I especially can't wait for all the tastes and foods Fall brings with it, such as stews and soups, apple crisps and cobblers, baked butternut squash and other goodies. 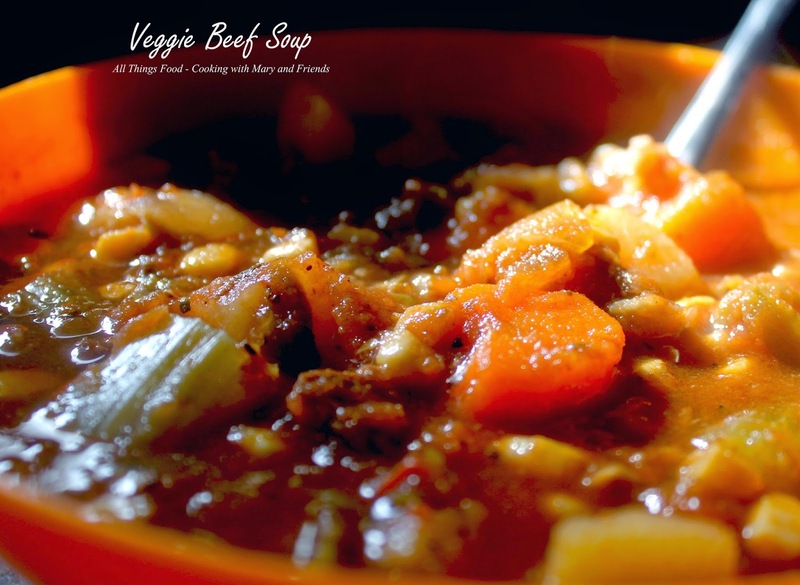 I love all kinds of soups and stews, and we have them quite often during the Fall and Winter seasons. 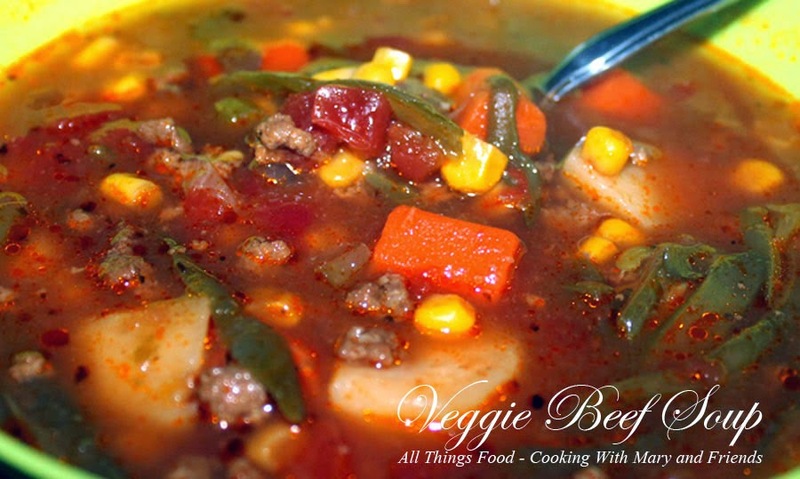 This Veggie Beef Soup is one of my all-time favorites and you can use any beef/meat you want, or mix up the vegetables to make it your own. It's one of those versatile, anything goes kind of soup! Enjoy! Add olive oil to stock pot and saute' beef until browned; add onions, celery, and seasonings, continue to cook until vegetables are soft. Stir in tomatoes, tomato sauce and beef stock or beef bone broth; bring to a boil. Reduce heat and let simmer approx. 1-2 hours, until beef is tender, stirring from time to time. Add potatoes and carrots and return to a boil; reduce heat and simmer approx. 30 minutes. 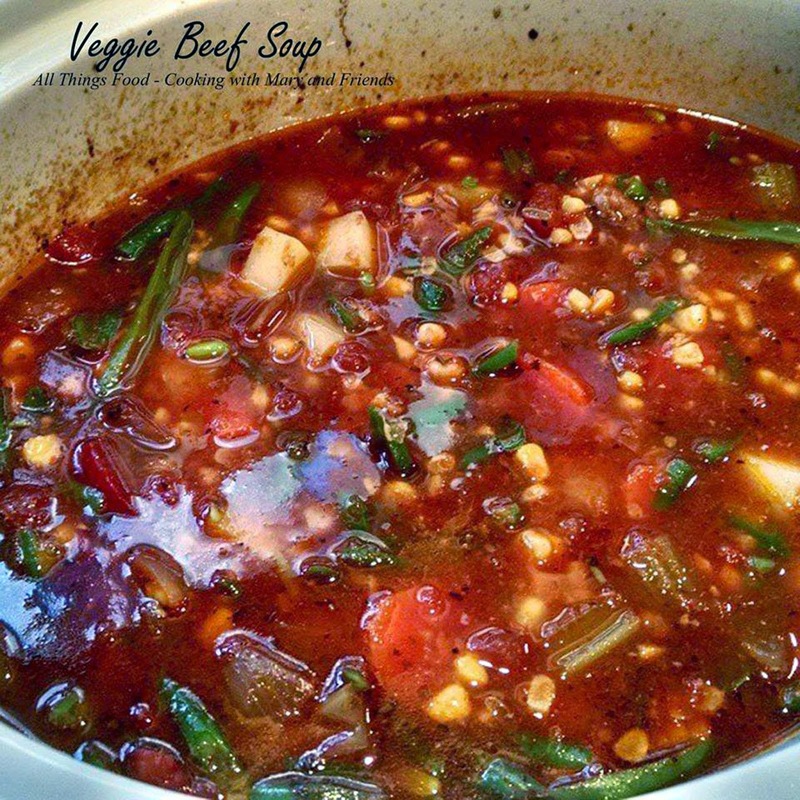 Stir in frozen green beans and corn; continue cooking until all vegetables are tender and heated through. For slow cooker or crock pot - mix all ingredients in slow cooker or crock pot (sprayed with cooking spray - omit olive oil). Cook on low 8-10 hours or until done. 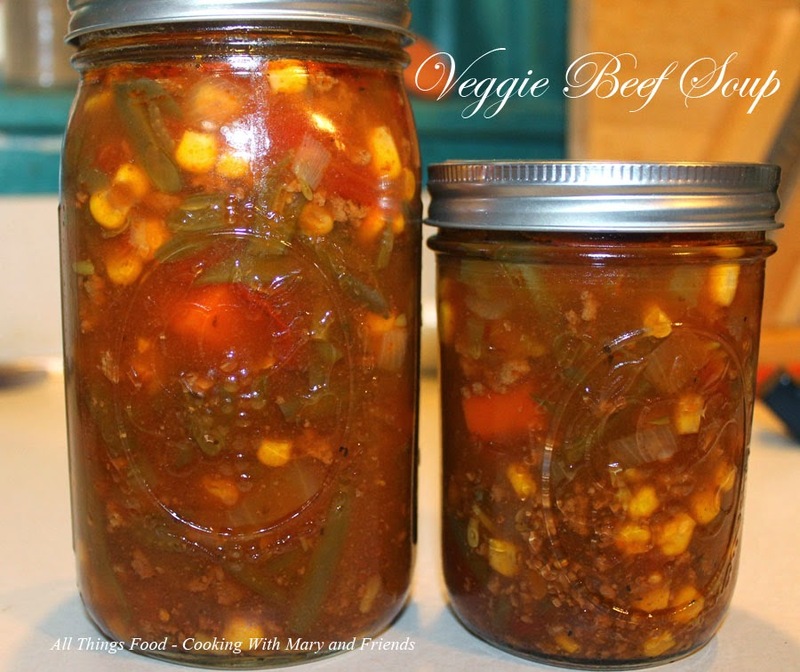 Pressure Canning - This soup cans up very well. You would brown the beef, then add all other ingredients, uncooked, to the beef, stirring together. Use a slotted spoon to fills jars, which will insure you have 1/2 solids to 1/2 liquid (the soup will "cook" in the pressure canner). Process pint jars 75 minutes and quart jars 90 minutes at 11 lbs. pressure. can you do this in a regular canner, not a pressure canner? Annie, no, anytime you have meat you must pressure can it. It could be frozen howeverand reheats very well. Thank you so much for sharing this on Manic Monday!! You are most welcome Bobbi! Sounds good to me <3 TY!